Today I decided to make something for myself. It's been a while since I had the time (or energy) to just make something for fun. 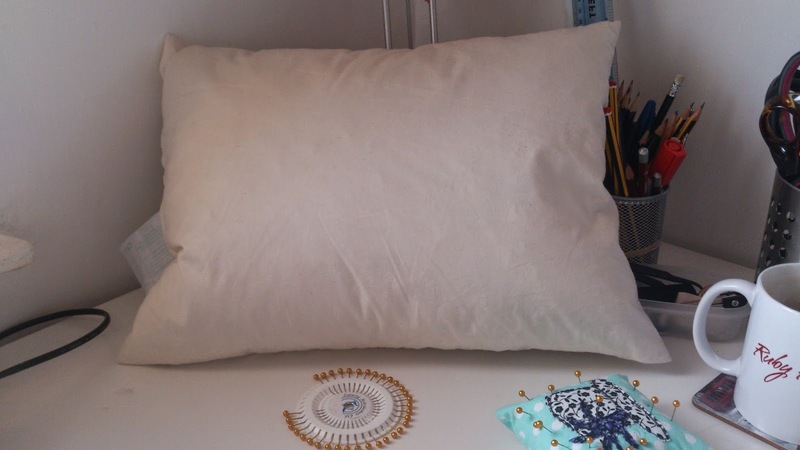 So I thought I'd make a cushion. Here's the cushion pad, not really what you need to see but better for the big reveal photo at the end of the finished cushion !! I thought I'd share with you the thought process that goes into designing and making a Ruby Patch cushion. The first step for this particular project was my new fabric from Ikea. 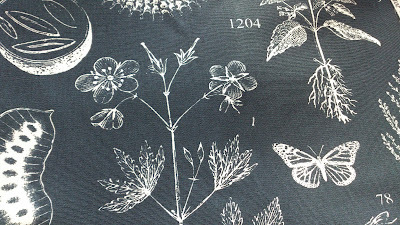 Their fabric sells at such good prices it is a shame not to buy some when you visit. 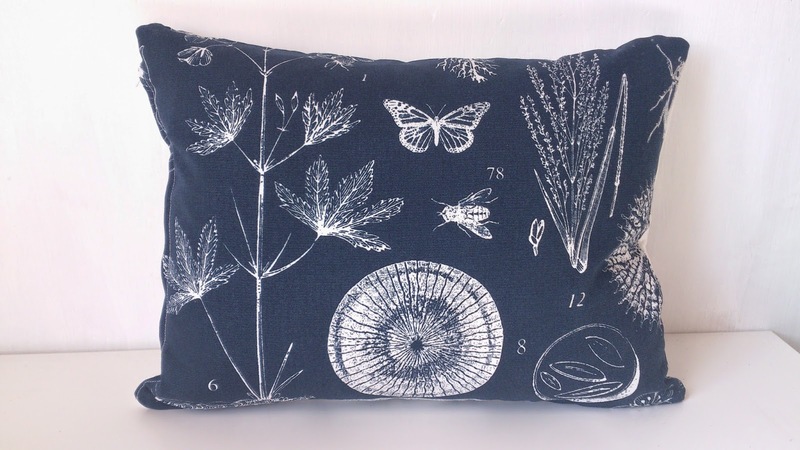 They tend to specialise in bold, colourful prints which are great for adding interest to the back of my cushions. 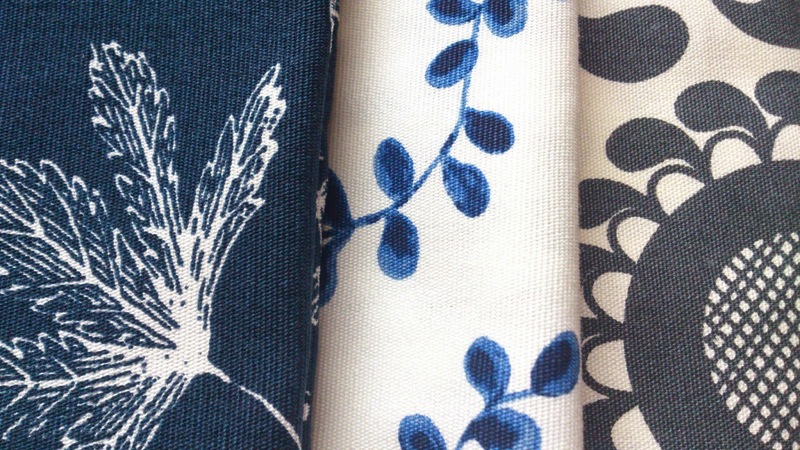 Today I chose the left fabric which is a botanical print in a very dark navy blue. So now I had the back of the cushion sorted, I wanted to choose a design for the front that complemented it. As a fully qualified list maker, I always find that my ideas work better if I write them down. This was the result. 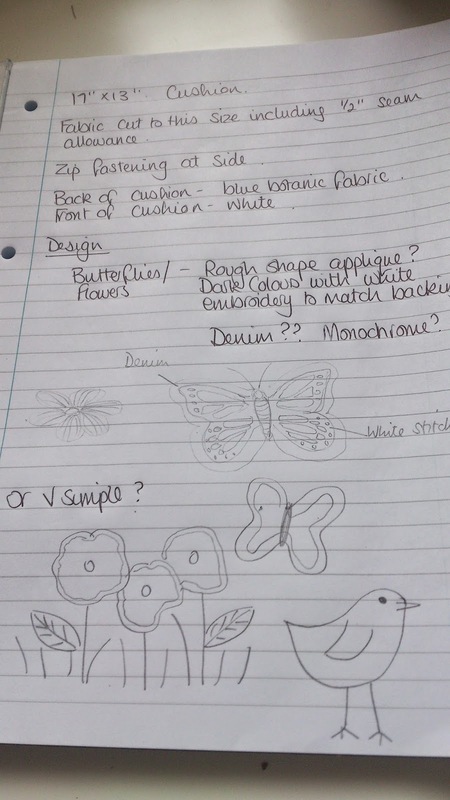 Birds and butterflies were my initial idea but they were swiftly replaced by flowers. I don't usually do flowers so it was a nice change. 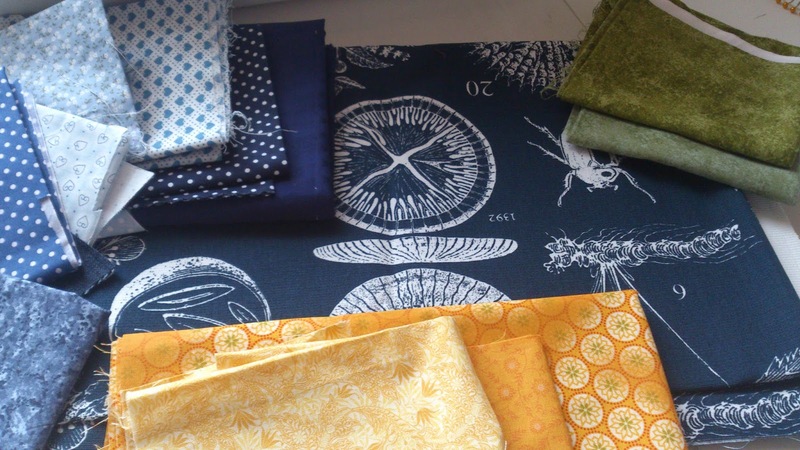 Before finalising the design I got the fabrics out to decide which ones to use. 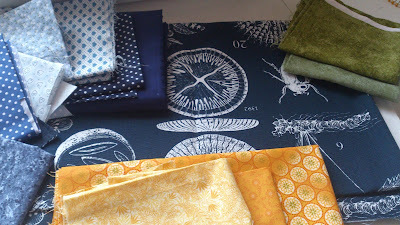 Although the yellows really appealed, I decided to go with blues and stay monochrome. The flowers were cut out of different blue cottons (including some denim from an old pair of jeans) and attached using bondaweb. 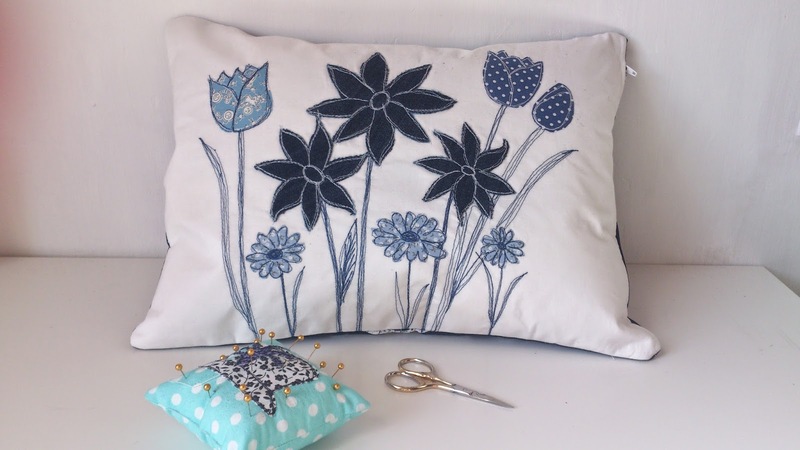 The design was then outlined and highlighted using free motion embroidery and here is the result.